Bounty hunter Judd Jacoby has a ruthless reputation of his own—he always gets his man. And he does it without help. When he captures Lonnie Sims, everything changes. Sims convinces beautiful Faye McJunkin to help him escape by betraying the hardened bounty man. Making off with more money than either of them have ever seen, Lonnie then rides away and leaves Faye in the middle of the prairie—alone. When Judd finds her, he has half a mind to ride on and leave her to the cutthroats who have captured her—but he can’t do it, despite her earlier deception. Judd draws down on the two outlaws, but they won’t go peacefully. When the firefight ends and the smoke clears, Faye proves her worth. 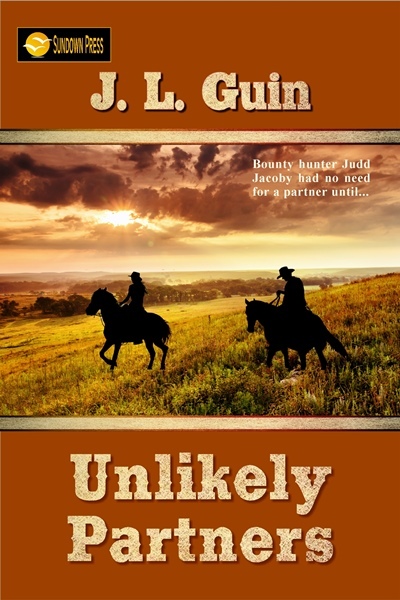 Risking his life for her, Judd has been wounded, and needs the care only she can provide. Faye has been making bad choices ever since she left home, and Judd has been a loner since the age of seventeen. Putting their lives on the line in the hunt for killer Lonnie Sims has brought two UNLIKELY PARTNERS together as nothing else ever could. A believable, gritty western novel with plenty of gun smoke. Copyright 2014-2018 Prairie Rose Publications. All rights reserved.